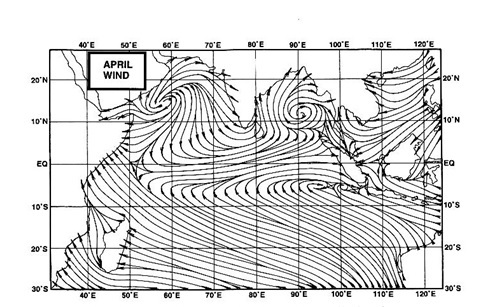 10 pm IST Sunday....Check this Site for the Monthly in-depth All India Monsoon Analysis by Vagarian GSB. Mumbai City had the occasional heavy shower on Sunday as mentioned . Rainfall till 5.30 pm on Sunday...Colaba 10 mms, Vagaries ( Mahalaxmi ) 32 mms and Scruz 57 mms. Northern Suburbs, Thane and some Eastern Outer Townships of Mumbai are experiencing heavy rains on Sunday. Vagarians report of around 100 mms till evening in Borivali and Eastern Township of Badlapur. A Low is expected to form in the Bay off the Odisha Coast by 3rd August. I have my doubts,if this Low will track inland, at least to some distance. Shall put up a note on Sunday night. Some parts of Saurashtra and Odisha received good rains on Saturday... with Rajkot getting 94 mms and Surat 44 mms in 9 hrs ended 5.30 pm. Chandbali received 70 mms and Baptla 60 mms. 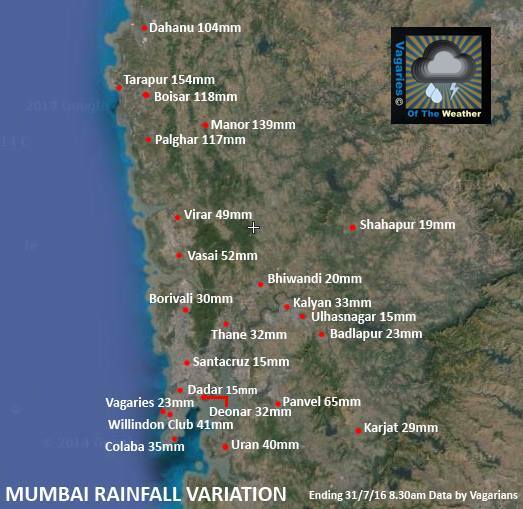 Parts of Mumbai had sporadic heavy showers on Saturday, with Colaba measuring 29 mms and Scruz only 4 mms. Much reduced rainfall on Saturday night. Sunday will be cloudy with occasional showers,some heavy. Sir, can you please put your forecast for that and interiors for coming days? Torrential pounding rains hitting navi mumbai - again 3 digit rains! Vihar overflows. For bird lovers -> Historical Mumbai zoo (jijamata udyan - rated one of the best zoos in world) receives delightful 'Penguins" -who says "charlie chaplin" are only for Antartica - now Mumbai - special cold conditions have been created - viewed open to public by sept - oct. Heavy downpour since morning borivali mumbai with winds. Mumbai/Navi Mumbai/Thane may receive falls > 200mm in 24hrs -flooding expected. Sorry for typo in above post. Would like to get forecast for ghats and interiors. As per IMD all india area weighted rainfall actual 445.7 against 443.9 mm.from 1 6 2016 till 30.07.2016. 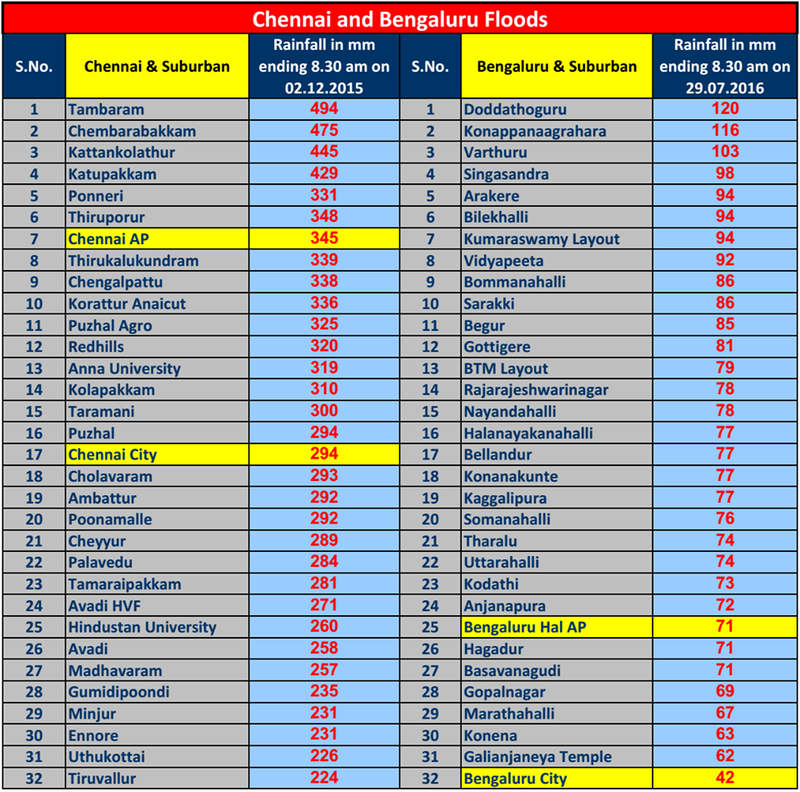 It would be great to get an update on the top rainfall stations across the country till the end of July from Pradeep. After a very dry June, Cherrapunji and Mawsynram are close to normal levels now following 10 days of very heavy rain in between. Real surprise is northern Ratnagiri district. 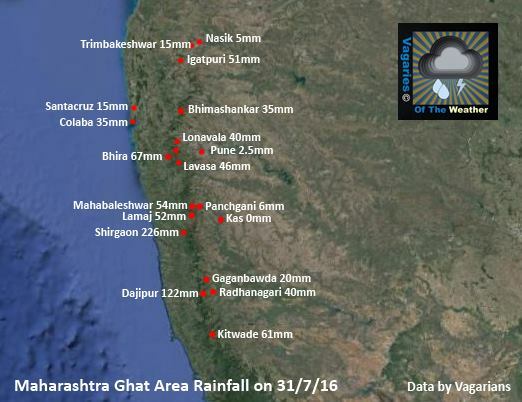 Even in July, Harnai has had more rain than Mahabaleshwar. Incredible!! Coastal Karnataka and Kerala have been having comparatively less rains lately. It will be interesting to see a country wide analysis for July. I think it could be around 150-200 mm since morning and still raining here in western/northern/central suburbs and thane. Rajesh sir,whats your forecast for konkan (nagothane,roha)region for next few days? Any chance of very heavy rain in mahabaleswar -kolhapur region like july 2nd week? This is true GUJ style -> guess 2014 also we had similar pattern july end/aug/sep saw extreme spells for GUJ/RAJ.